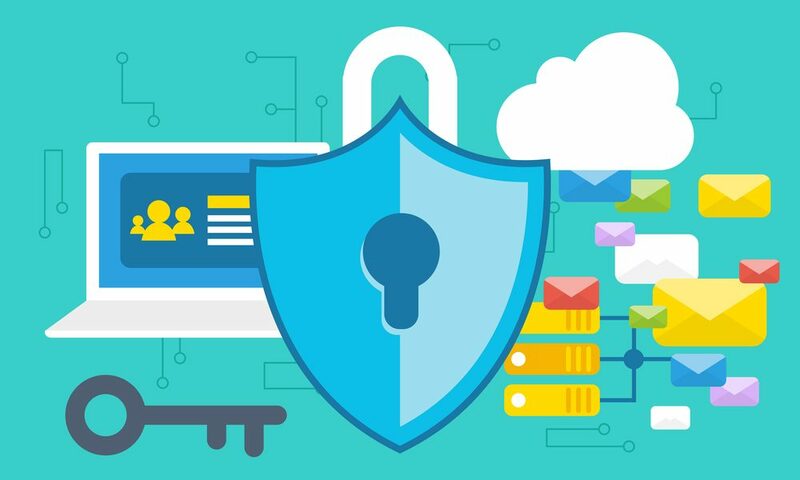 Why SSL Certificates are Important? The invention of the internet has transformed the entire online world. Today, it has become tough to imagine our lives without the internet as it plays an essential role in our day-to-day activities. Moreover, this technology is continually evolving. It has made the world a smaller place. We can communicate with each other from any part of the world. We can also do shopping with just a click of a button. The Internet is one of the most efficient and sustainable inventions of humanity. It has also given birth to many jargon’s such as SEO and SSL. Let us try to understand these jargon’s and their importance in the world of the internet. SEO refers to Search Engine Optimization. It is a process of influencing the visibility of web pages in the online sphere. In simple words, the method of SEO helps any web page to reach a higher level in any search engine. It makes the webpage or website easily searchable. The world of business uses Search Engine Optimization as one of the marketing tools. If a site has a higher SEO ranking, it means that it is easily searchable on the internet space. You can increase the SEO ranking of your webpage by following the below points. Publish exclusive and relevant contents. Moreover, these contents need to be updated regularly to keep them contemporary. Proper use of Links and Keywords play a significant role in increasing the SEO ranking of a website. Thus, use Links and keywords wisely. Secure your site using an SSL Certificate. It builds your credibility in the internet community by ensuring data integrity, authentication, and encryption. Make your site friendly on all internet platforms and devices. You can also get help of companies that provide SEO services as mentioned above. Like any other part of the world, you cannot overlook the importance of SEO in Australia. You can get a wide range of SEO Agency in Australia too. Data Quest Digital is one of the well-known firms that provide complete SEO Packages in Australia. By now, you must have got an idea, how important SEO is in the current scenario. Let us fathom it further and analyze the importance of SEO in 2018. In the recent past and present, online business, media, and marketing have grown by leaps and bounds. Now, a business entity is not dependent upon print media alone for marketing and promotion. The Internet has brought this revolution in the business arena. Visibility forms the basis of marketing and advertising. SEO acts as a powerful tool that helps in improving the online presence of any business entity. SEO is vital in the present time because of the below reasons. Today, the maximum number of people that have access to the Internet. Thus, if your website shows up frequently and at a higher level in search engines, your visibility and customer base will increase. It gives you a high return on investment. If you are investing in SEO, this will expand your customer base, brand promotion, and subsequently the bottom line. In the present time, people trust e-commerce. Thus, we cannot avoid the importance of SEO. SEO is the best advertising tool of today. As compared to print media, SEO is less expensive. SEO acts as the long-term marketing and advertising plan. You can reap its benefit in the long run. SEO also helps in data analytics. It is very imperative to know information about your customers such as, what are they seeking, how are they searching, which part of the world customers belong to, and which part of the day they are most active on the Internet. This kind of data will help you in formulating strategies for your business and taking informed business decisions. These strategies and business decisions give you an edge over your competitors. While choosing an SEO Company in Australia, the most important thing that you must keep in mind is that the firm is using the latest and updated version of the algorithm for determining SEO results. After gaining insight about SEO, the next important thing that we must know is SSL Certificates. SSL Certificate refers to Secure Sockets Layer Certificate. They are small size data files that you can install on a web server. After installation, these SSL Certificates encrypt the data sent to the server. Thus, they enable a secure connection between the web server and the browser. So, if you have an SSL Certificate installed, you can avoid theft of online data. They also authenticate the web pages that communicate with the server. We all know that the present era most of the global population has access to the Internet either through computers, laptops, or cell phones. Every technology has its advantages and disadvantages. The most significant downside of the internet is that a lot of sensitive information flows through the internet and there are people ready to exploit it using hacking and other malicious tools. With the advancement of useful technology, the malefic ones are also becoming advanced and stronger. Thus, today we need to secure our transactions better than before. Let us briefly discuss the importance of SSL Certificates. It prevents theft of confidential data. Thus, ensures safe online data transfer. The online payment becomes safe and secure if we use the right kind of SSL Certificate. It makes the e-commerce transactions easy and trustworthy. SSL Certificates gives your customer trust and confidence because of their known advantages. Thus, your customer base will increase and subsequently the revenue. SSL Certificates help in improving the SEO ranking of your webpage. Most of the search engines flag the pages and sites that do not have an SSL Certificate attached. Search engines mostly allocate lower levels to such web pages or do not allow them to be featured. The SSL Certificate Cost depends upon the firm you are purchasing it from and the type of certificate. The minimum price for SSL varies between $60 and $70.There are many vendors available who sell SSL Certificate in Australia. Many trusted vendors also sell Cheap SSL Certificate. The Internet is a brilliant invention. It has a significant role in transforming most of the fields such as education, business, arts, and social interactions. The introduction of the concept of SEO has done wonders for the e-commerce world. The Internet has its shortcomings too. Data security is a crucial concern for all kinds of internet transactions. SSL Certificates help in ensuring safe information transfer over the internet. If you want to sustain your online business, reach out to a trusted SEO and SSL Certificate provider such as Data Quest Digital.